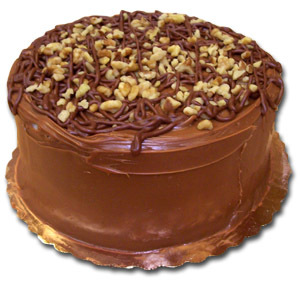 Topped with Strings of Chocolate Fudge Icing and Georgia Pecans. Government regulations have recently caused changes to some of the ingredients used in our caramel icing. These changes have adversely affected our caramel icing to the point that we will not offer it until we can guarantee that it will be up to the quality standard you are accustomed to from McEntyre's Bakery.